We are an Australian-based, young and enthusiastic digital technology team in a rapidly growing company looking for a new support staff member to manage customer accounts based locally in Sydney’s Northern Beaches near Manly. Our business offers marketing production and business process assistance to the fast-paced real estate industry. The job is at times dynamic and high-energy, requiring a motivated fast worker with great communication skills. Do you have prior customer service experience and great speaking and writing skills? Our customer experience team are masters of real estate marketing and the Realhub platform, working closely across the entire customer journey to ensure their success. Your position is full time and involves daily tasks such as fielding support calls and emails from customers. You will build relationships with customers. You will interact with a broad range of clients across Australia. 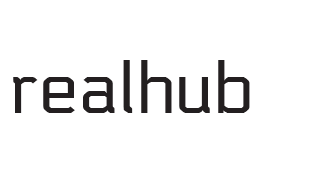 You develop a broad knowledge of the Realhub platform and perform the daily investigation into customer queries. We will teach you everything you need to succeed but you're required to effectively communicate on the phone and via email as well as interpreting and prioritizing support customers and issues. Completing user onboarding and guiding customers through our platform. We will help customers achieve success as a team. You have a level head, and are a quick learner, with strong listening skills and an empathetic nature. A positive attitude and strong resolve with the intelligent solutions to daily challenges. Strong team member with interpersonal skills and to be accepting of criticism and feedback. To be able to provide outstanding service to our customers at all times as you represent your entire team in your daily communications. To be organised and focused and follow our existing company procedures. You can apply critical thinking and find solutions to complex problems. To be technically able utilising email, support software and our platform. Do you have existing experience in Real Estate? Are you experienced in marketing? Your strong social skills will be favored highly in the decision-making process. We have staff from very diverse backgrounds so if you’re eager to try new things and you’re a fast learner you’ll probably slot in nicely. Attention to detail and the ability to work to tight deadlines. The opportunity to work with a team of young friendly people and to be constantly learning and growing, moving up as the company grows and gaining more responsibilities as time goes on.